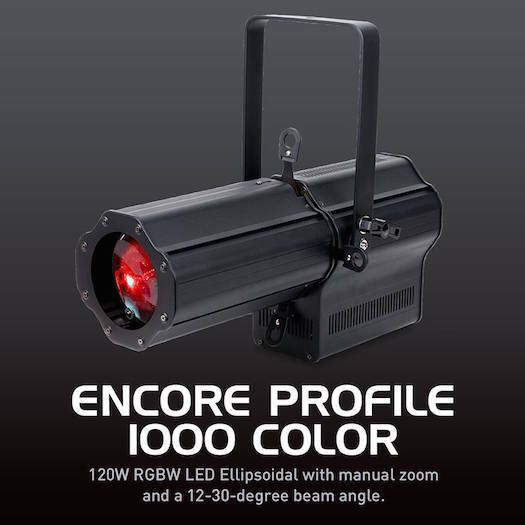 Can also be used as an effective spotlight for a multitude of applications! 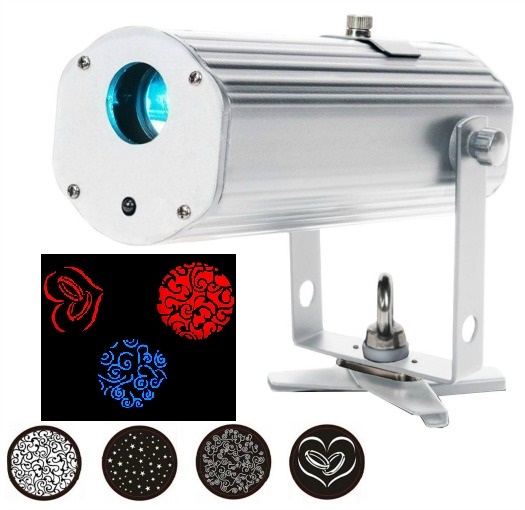 The Ikon Profile GOBO Projector is a flexible, forward-thinking, affordable, high output single GOBO Projector powered by a bright 32W (7500K) white LED. 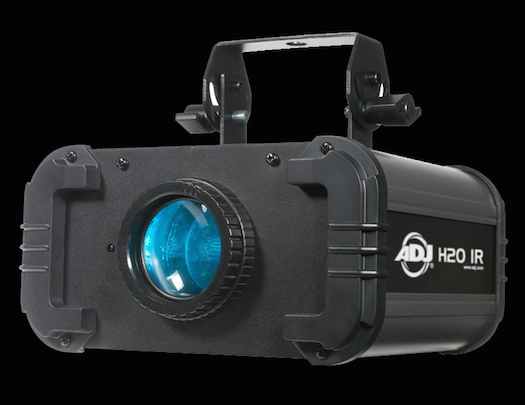 This fixture uses high quality optics for crisp, clear projection. 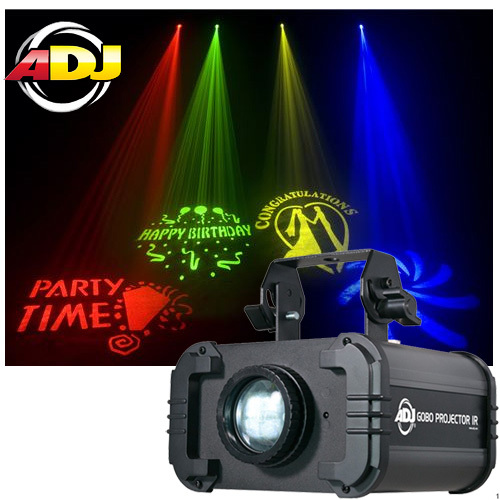 User can adjust the LED brightness and strobing via DMX or by the included wireless UC IR remote control. 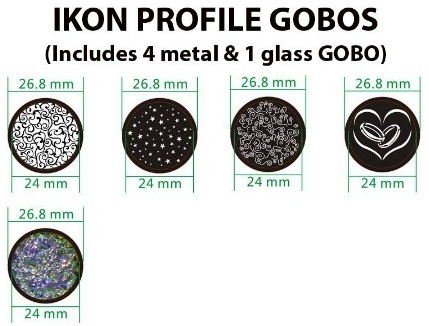 The Ikon Profile includes 1 glass GOBO and 4 metal GOBOS. Users may also easily insert custom GOBOs in the fixture's GOBO slot located on the top of the fixture. Another key feature is the ability to manually control the beam angle, focus and framing shutters. 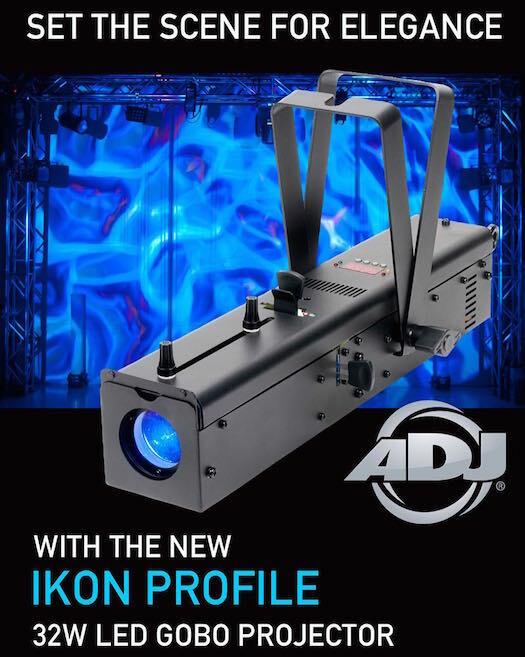 The beam angle is adjustable from 15-30 degrees making it versatile for a wide variety of applications. Compatible with the Airsteam IR App.for IOS device.